Swift is Unique thinking and technologically advanced industrial plastic products manufacturer in India and recognized as leading supplier of industrial plastic products. 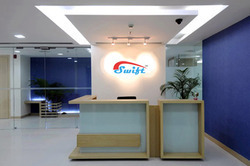 SWIFT has quickly established itself as a reliable brand name due to its customer-oriented approach, consistent product quality, the wider range of products and services. We offer expertise in plastic molding through our core strength of ability to innovate, design and manufacture a wider range of products which is suitable for all kind of industrial segments. We always follow highest quality standards of technical excellence scaling new heights in its determination to deliver best every time. We create value for our clients and partners in business. At the same time, our measures ensure we fulfill the diverse needs of customers. We view this as long term of competitive advantage by providing superior products for wider applications from both quality & economic viewpoints. We are committed towards supply good quality products, excelling laid down standards to delight our customers by continually upgrading our skill by maintaining a speedy and flexible approach. We have been able to provide a stable and reliable supply base for our customer. The Company is headed by inspirational leaders and manned by skilled and experienced personnel at every level to ensure consistent performance, steady growth and constant innovation. The collective efforts ascertain that every endeavor at Swift is well directed and achieves the desired results within the stipulated time schedules. Stringent Quality control, Latest technology has resulted in SWIFT being the preferred choice of customers. The dedicated and skilled marketing team ensures complete understanding of customers’ need; effective service and proper guidance in aiding customers in selecting the product best suited for their requirements. We believe in forging relationships that endure.